Its official, The Dude abides on your ride. 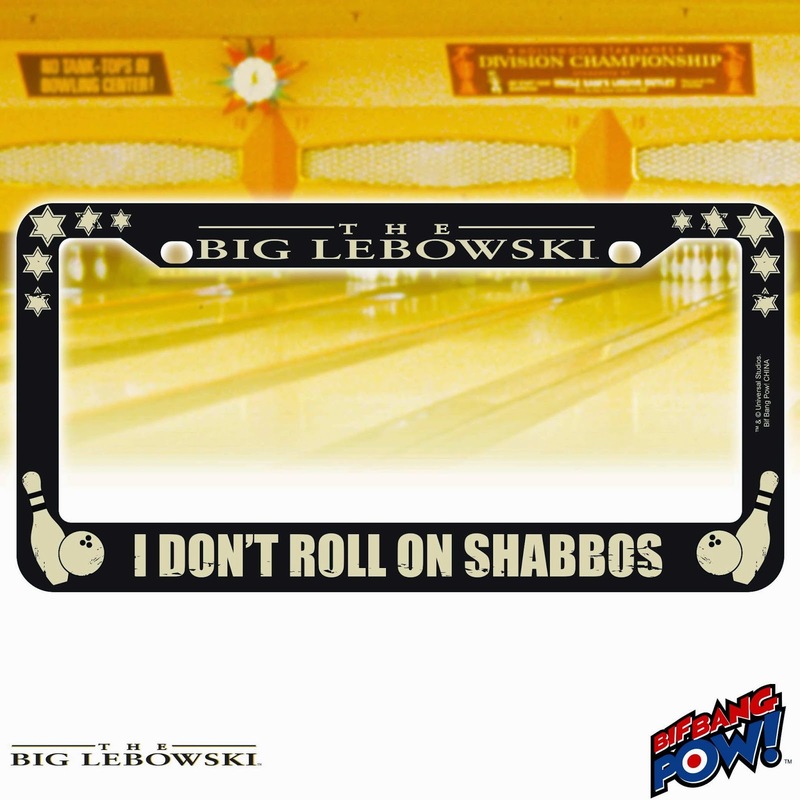 Tie the look of your whole vehicle together by adding one of Bif Bang Pow!’s newest The Big Lebowski license plate frames to your set of wheels! Available for pre-order now, you can express your love of The Dude and his best friend Walter to everyone on the road or at your local bowling alley parking lot. 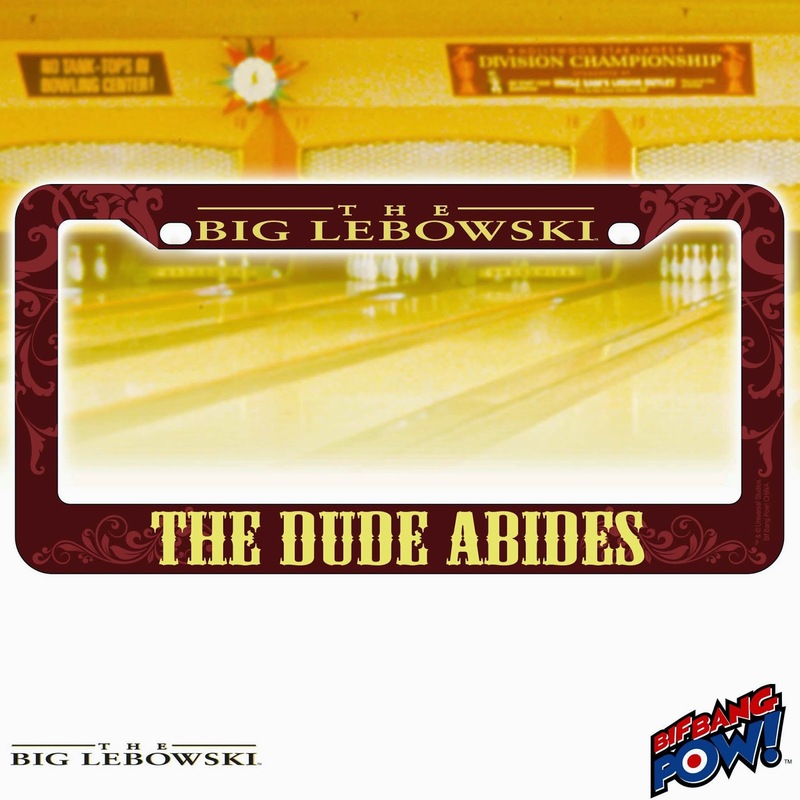 Incorporating two of the film’s more popular quotes, collectors have their choice of the maroon “The Dude Abides” frame with western yellow font or the black “I Don’t Roll on Shabbos” frame with bowling ball and bowling pin graphics. Each plastic frame measures approximately 12 1/4-inches wide by 6 1/4-inches tall and prominently displays The Big Lebowski title logo. Read more at Entertainment Earth News. See more of our amazing The Big Lebowski collectibles here!